Dr. Gerlinda Lucas a graduate from the Russian Friendship University in Moscow, Russia presently works for the Handa Foundation as the Executive Director of the World Mate Emergency Hospital. Dr. Lucas served as Assistant to the Vice President of HOPE worldwide Russia for two years, coordinating various programs for youths and families. She moved to the United Arab Emirates, as a resident physician, and set up a nutrition program that helped 600 women in a year. Then she served as a medical officer in HOPE worldwide Afghanistan overseeing the restructuring of the management of Malalai Maternal Hospital, a project that resulted in an 80% reduction of infant mortality rate. Dr. Lucas served for six years with the Sihanouk Hospital Centre of HOPE, during which she oversaw the setting up of various strategic partnerships with NGOs and medical institutions, and spearheaded a variety of new programs including HIV, TB and Malaria projects funded by the Global Fund. She rose to become the first female and Asian director of the hospital and responsible for establishing a Women’s Health Center during her term. Dr. Lucas also holds a Diploma in International Health from the University of the Philippines. 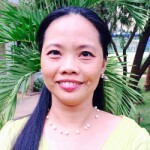 She is currently based in Battambang, Cambodia, and her work brings her to various areas in the Mekong region, including, Myanmar, Laos and Thailand for the assessing of needs and strategic development of new programs.